The Caktus office is now home to a weekly yoga class for the tech community of Durham. Via our employee suggestion box, Lead Designer Ross Pike recommended a Caktus yoga class. Through team effort that suggestion will come to fruition next week. 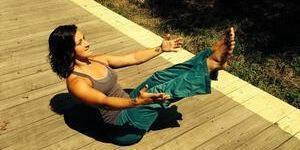 Starting Thursday, June 11th, we will be offering a yoga class taught by professional instructor Christina Conley. The class will be open to the public at large and will be held in our community meeting space at our offices in downtown Durham. Also, be on the lookout for a Caktus run club in the next few weeks. Here’s to more great ideas from the suggestion box!